We commit ourselves to help provide food for others. 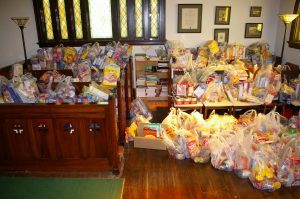 We bring non-perishable foods to church weekly to support the Christian Community Food Depot; we participate in the monthly mobile food pantry distribution sponsored by the Pantry for Adair County (PAC) and the Central and Northeast Missouri Food Bank. We serve as volunteer staff at the Food 4 Kids effort in local parks for a week each summer and we walk in the Buddy Pack fundraiser each fall. Each year we organize a “Fill the Ford” at HyVee in Kirksville, an effort which can generate one thousand pounds of food or more for local distribution. 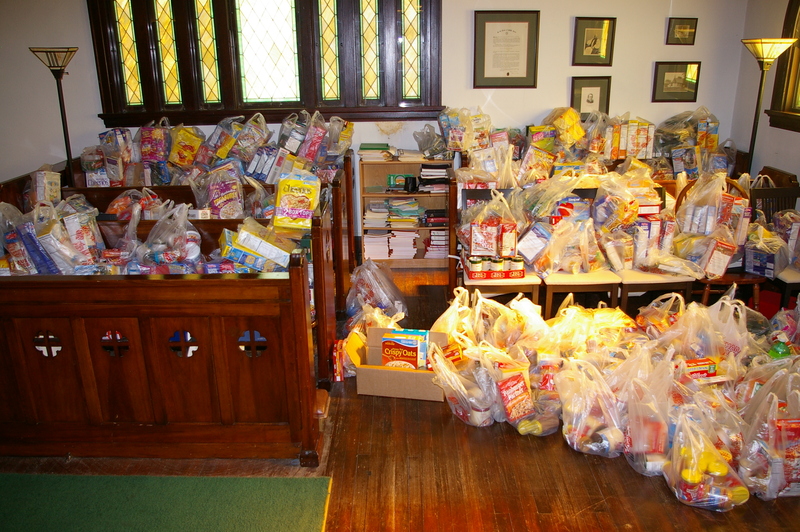 Our experience with food ministry over the past several years has changed us. We are more aware of food insecurity, more engaged in seeking large-scale and long-term solutions in our community. At the same time, we are involved one-on-one helping with food issues, whether with a senior citizen who wants to try Meals-On-Wheels, someone who needs transportation or shopping assistance, or “treating” someone who just wants to eat out. A core group of a dozen or so members inspire others to donate food, work to build awareness, and volunteer to directly serve.